macOS 10.7 "Lion" or newer. Key Codes is a little utility that displays the key code, unicode value, and modifier keys state for any key combination you press. If you're a developer, this might be useful to you. 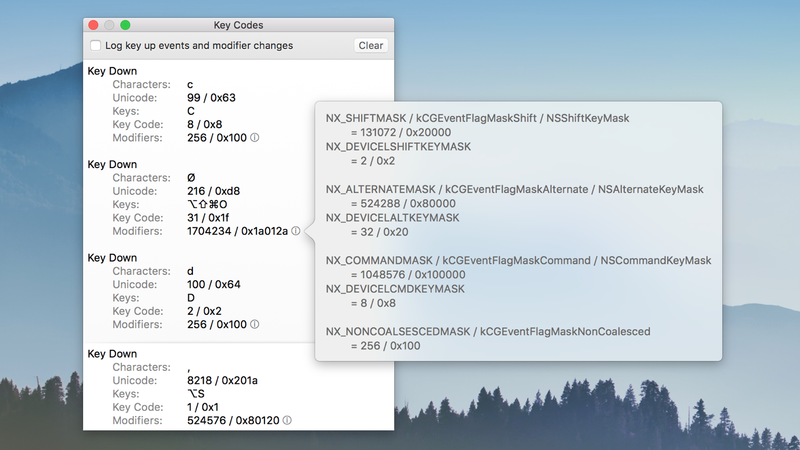 Key Codes 2.1 requires macOS 10.7 "Lion" or newer. The release notes are an interesting read.